Buying a new home or remodeling? You have a right to an energy efficient home. Energy codes are minimum requirements for the design and construction of new and renovated residential and commercial buildings. They ensure your home meets minimum energy efficiency standards. Energy codes reduce energy demand, save consumers money, improve comfort, and reduce greenhouse gas emissions. Most states update energy codes every three years in order to keep pace with advancements in technology and construction methods, but some states do not. In those states, building to outdated standards causes home and business owners to pay unnecessarily high energy bill every month for the lifetime of the building. A family’s standard of living: Money spent on monthly energy bill could be spent elsewhere. Our economy: Every dollar not spent on imported energy is a dollar that remains in our economy. The more energy we import, the more money we export. The environment: Energy efficiency reduces air, water, and soil pollution because fewer fossil fuels are burned to meet demand. U.S. competitiveness: Lower energy bills make it easier for American businesses to thrive inside its border, and not move overseas. Jobs: Increased demand for energy efficient goods and services provides jobs for contractors, insulators, mechanical systems companies, window manufacturers, and more. Energy rates: Energy codes help keep rates lower by delaying the need to build costly new power plants, and ease the strain on our nation’s aging utility grid that delivers energy from power plants to our homes and businesses. National security: Energy efficiency reduces the amount of energy we need to import from outside the U.S. Spread the word on energy codes to your government official. 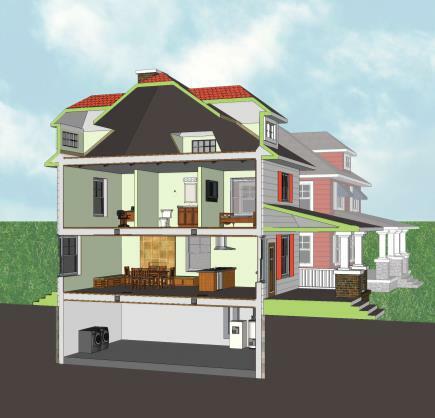 Take a quick look to see if a home meets efficiency standards. This resource is also available in Spanish. Check out the features of a home that meets code. A step-by-step guide to finding out the energy code in your location. Materials for consumers in AL, AK, ID, IL, KY, MI, MO, NE, PA, and TX. 86% of homeowners want to know a home’s energy operating costs before they buy or rent. 82% of homeowners believe they have a right to homes that meet national standards. 77% of homeowners think that homebuilders should not make less efficient homes at the consumer’s expense. The Consumer Outreach Campaign was launched by BCAP and Consumers Union in 2011 to educate the public on the impact of home energy use, the role of energy codes in addressing home energy performance, and what you can do to save energy and money. Our primary goal is to educate and engage everyone in support of energy codes. You have a right to a home that meets national standards for energy efficiency. Read more about the Consumer Campaign. In June 2015, Consumers Union reaffirmed their support for energy codes by urging the Energy and Commerce Committee to support code compliance efforts. Questions or comments about your state or our campaign? Contact us.